The Moto 360. Whenever tech enthusiasts hear the term, it brings to mind a splendid smartwatch that, with the exception of its flat tire, was the first smartwatch to appear as a normal watch on the wrist that hid its tech-sexiness. Yes, Motorola realized that the key to the smartwatch market was to give consumers a capable device that looked unsuspecting from the outset, and it was the Moto 360 that even spurred LG to unleash the G Watch R, the company's first round smartwatch (this is what the "R" stands for in the name, in case you didn't know). Well, Jim Wicks, former Motorola design team head and one of the persons responsible for the gorgeous Moto 360 watch (that's right; the first and second editions) who has been at Motorola for "a dozen years," is leaving the tech world for the academy. 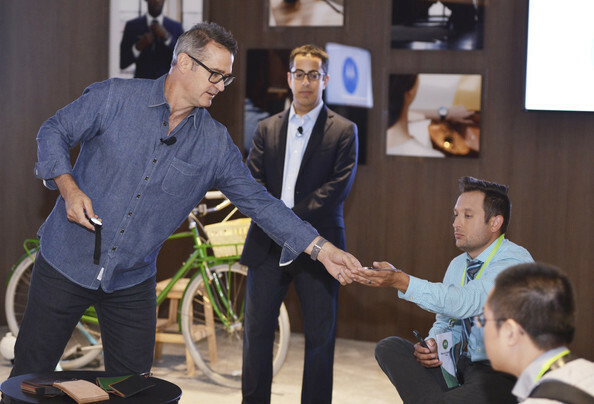 "We greatly appreciate Jim's contributions in leading a consumer experience design team that delivered standout, iconic, and award-winning industrial design and user experiences for Moto's mobile and wearable products," said Motorola Mobility chairman and Lenovo mobile business co-president Aymar de Lencquesaing. Wicks worked on not only the Moto 360, but also products such as the Moto G, Moto DROID lineup, and the original RAZR flip-phone that swept the market by storm in 2003 (yes, I had a Motorola RAZR and thought it was the coolest thing since sliced bread then.) Apple's Touch ID fingerprint scanner has convinced many individuals that Apple implemented biometric security into its devices first, but it was actually Motorola who did that with the Motorola Atrix back in 2011. Wicks is heading into academia, becoming a Northwestern University McCormick School of Engineering professor in July. While we don't know the factors behind this decision, what we do know is that Jim Wicks has been a large factor in Motorola's heyday. We want to congratulate Jim Wicks on the role he played at Motorola, and wish him well for the future. Though I've become something of a Motorola sympathizer these days and much less of a fan of their products than I once was, I'll cradle my Moto 360 a little tighter knowing that one of the company's long-time veterans who gave it to us is saying goodbye. I guess this means that we'll never see a retro-return to the RAZR flip phone (now, if Motorola could've created a smartphone that had the flip phone design, it just might've returned some of the magic).